MAN Diesel & Turbo's ME-GI engine, the first in Japan, has successfully completed a factory acceptance test (FAT) at the Tamano Works of Mitsui Engineering & Shipbuilding (MES). Carried out under the direction of classification society DNV GL, the testing was conducted prior to its delivery to VT Halter Marine. 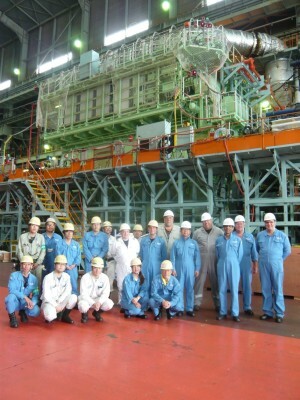 The engine is the first of two 8S70ME-C8.2-GI units that will be installed on two 2,400 TEU ConRo ships being built for Crowley Maritime Corporation. Touted as the world's first LNG-powered ConRo ships, El Coquí and Taíno are expected to travel at speeds up to 22k under different load conditions including containers and hundreds of vehicles in enclosed, weather-tight car decking. According to Crowley, the vessels will offer customers fast ocean-transit times while minimising the environmental impact by reducing the amount of CO2 emissions by up to 38% through the use of LNG. The high-pressure, Diesel-cycle ME-GI engines have a negligible methane slip and minimises de-rating. In addition, the ships are expected to meet all the regulatory requirements and have the CLEAN notation which includes limitation of operational emissions and discharges along with the Green Passport, both issued by DNV GL. In 2014, MAN Diesel & Turbo secured the first order for its low-speed, dual-fuel ME-GI engine to be equipped on two 3,100 TEU liquefied natural gas (LNG) powered containerships designed and built by General Dynamics Nassco for US shipping firm Tote. A ME-LGI counterpart that uses LPG, methanol and other liquid gases is also available, and has already been ordered.